Mountain Laurel Golf Club offers a clubhouse that has a full menu and beverages. 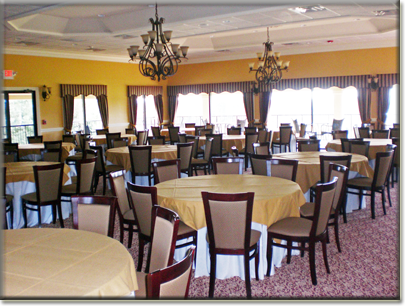 We have recently completed the remodeled clubhouse and dining environment. These improvements will allow Mountain Laurel Golf Club to offer an even greater variety of services to our patrons. If you are interested in holding a large event this summer please contact us today. Complete with a new formal dining room, the new clubhouse is perfect for your next special event. Lunch Served Daily from 10am. Take Out Available. 570-443-7424 Ext 2. The bar area is open daily from 10am to provide bar service for golf customers. Hours are seasonal and weather dependent.